Review portable air conditioner brands Rinnai, Kogan, De’Longhi, Convair and Dimplex on value for money, reliability, functionality, noise while operating, ease of use and overall customer satisfaction with Canstar Blue’s 2018 comparison guide. Rinnai has topped Canstar Blue’s customer ratings for portable air conditioners in 2018. Rinnai achieved five-star reviews on reliability, functionality, noise and overall satisfaction. It got four stars on value for money and ease of use. A permanent air conditioning unit not an option? Well, you’ve come to the right place to compare your next best options for the summer – portable air conditioners. 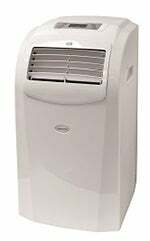 These bad boys are often the unsung heroes of hot Australian homes, helping to keep us cool and calm, especially those who are renting, on a budget or just want the convenience of a personal portable unit. Not all portable air conditioners are made equal however, which means you have lots to think about before busting out your credit card in spring. When it comes to upfront costs, cooling effectiveness, functionality, reliability and ongoing power costs, there can be a big difference. So, let our 2018 reviews and ratings prevent you from getting too hot under the collar when the temperature rises. 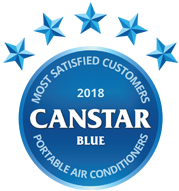 To find out which portable air conditioners Aussies rate best, Canstar Blue surveyed hundreds of people across the country and asked them to review the appliance they have recently bought and used across a range of important factors, like those mentioned above. This year, Kogan, De’Longhi, Convair and Dimplex had to settle for four stars overall. Other results of note included Kogan being the only brand to receive five stars on value for money. In addition, Kogan was the only other brand, besides Rinnai, to score five stars for functionality. Both Kogan and Dimplex also saw five stars for ease of use, and finally, Dimplex received five stars for reliability, along with this year’s winner. To help you identify which portable air con you might like to buy, read on to find out what each of the brands in this year’s review have to offer. We’ll also look at some other notable brands not included in our ratings, as well as factors to consider when buying one. It’s important to note this review includes air conditioners than can be picked up and moved, and if you’re looking for guidance on permanently installed units, head over here. Japanese brand Rinnai is all over heating and cooling your home with its air conditioners, portable air conditioners and portable heaters. Its portable air conditioner range features a 3.5kW unit and 4.1kW unit. Expect prices of around $700 and $800 respectively. Its self-evaporative 3.5kW unit is stated to be suitable for small bedrooms, home offices and caravans, while its larger 4.1kW model might be more suited for large bedrooms, garages and small living spaces. Both feature adjustable temperature controls, three fan speed settings and a delay timer. You’ll find carry handles and caster wheels for easy portability. There’s also a dehumidifier mode to help remove moisture in the air and a sleep mode to adjust temperatures for energy-efficiency overnight. A swing function allows the air to flow throughout the room, plus you’ll find a ventilation kit included to help vent hot air outside. Rinnai took out top spot in our 2018 portable air conditioner ratings, with five-star reviews for overall satisfaction and every other category except for value for money where it received a four. This might suggest consumers are willing to pay a little more for quality. Australian online retail giant Kogan was founded in 2006 out of a garage, and over a decade later is powering through the appliances and electronics markets with established brands, as well as its own private label products for bargain hunters. 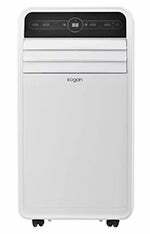 Kogan lists eight different portable air conditioner models, with prices ranging from about $600 to $1,000. Expects power ranges between 2.9kW and 5.2kW, with features such as various operating modes (air conditioning, dehumidifying, heating and fan, etc.) plus sleep and smart functions to automatically meet your cooling needs. Some also include a 24-hour timer, remote, and window exhaust connection kit. The 3.5kW model has an automatic swing function to spread cool air to where it’s needed. While the reverse cycle models (available in 3.5kW, 4.1kW and 5.3kW) add heating function to the portable units, suitable for large areas such as living rooms. These also include a humidifying mode and three fan speed settings, auto swing and window exhaust kit. In our 2018 portable air con review, Kogan was the only brand to rate five stars on value for money – a great result. It also received five stars for functionality and ease of use, while scoring four stars overall and for reliability. It was three stars for noise. It’s perhaps best known for coffee makers, but this Italian manufacturer creates small appliances for all around the home. De’Longhi’s Pinguino portable air conditioner range includes six different models at the time of writing, with prices ranging from $650 to $950. Expect three fan speeds and a dehumidifier on some models, with others featuring reverse-cycle functions (i.e. can also produce heat). Two models only use air for cooling (the ‘Air to Air’ line) in smaller units with handles and castors for easily moving around. The simpler version includes a 12-hour electronic timer and thermostat, while the next model up takes the timer limit up to 24 hours. One ‘Water to Air’ model can use water for cooling and automatically switches over to an air-only mode when the water tank runs out (which usually takes about 6 hours). Each model progressively adds more power and features, as well as a higher price tag. All include LCD displays and remotes, plus turbo power option, auto and sleep modes, and a 24-hour digital timer. 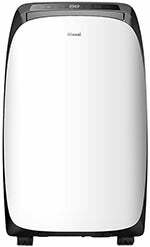 At the very top of the range, De’Longhi offers a Water to Air portable reverse cycle air con unit (WE120HP), with a 10L water tank capacity and 3.5kW of power. De’Longhi was rated four stars overall in this year’s review, as well as in most other categories except for functionality and ease of use where it received three stars. Claimed to be Australia’s ‘largest air conditioning manufacturer’ and a pioneer of the all-plastic evaporative cooler design, Convair produces refrigeration cycle portable air conditioners. The brand’s range generally sits at the more affordable end of the spectrum compared to others, starting from about $400, but going up to as much as $1,100. It may be worth a look if you’re strapped for cash but still want to keep your cool. There are four models to choose from with cooling capacities ranging from 2.93kW to 5.3kW. Expect features such as easy glide wheels and a carry handle for movability, plus a remote control for convenience. Some models also have up to three speed settings, a 24-hour timer and an LED display. The CP15HW1 unit is the only model to provide reverse cycle cooling and heating. The CP18CW1 is its largest and most powerful model, designed for cooling large living spaces. It features an anti-frosting function, Convair Aquasmart condensate disbursement system as well as thermal protection. Convair is another brand rated four stars for overall customer satisfaction, as well as for reliability and ease of use. It was three stars for all other categories – value for money, functionality and noise while operating. 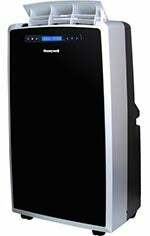 Specialists in home heating and cooling solutions, Dimplex, currently offers nine models of portable air conditioners, all but one of which includes a dehumidifier function. These units come in a range of sizes to suit different cooling needs, with cooling capacities from 2.6kW to 5.3kW. Prices range from $500 to $1,350. The smallest and simplest – DC09MINI – is purely an evaporative cooler, ideal for smaller spaces with two speed settings. Next up are three different sizes of reverse cycle self-evaporative coolers, at 3kW, 3.5kW and 4.4kW powers. All feature a 0-24hr timer with sleep mode, touch controls, a window kit and a smooth black and white finish. The most powerful portable air conditioner from Dimplex is its 5.3kW unit with a 24-hour timer and sleep mode, LCD remote control, soft touch controls, window kit, plus a side exhaust hose. The last brand in our 2018 review, Dimplex was a bit of a mixed bag, receiving four stars overall and for functionality. It earned five stars for reliability and ease of use, but just three stars for value for money and noise while operating. Exclusive to The Good Guys, Olimpia Splendid features three models of portable air conditioners – PIU ECO 12, PIU 14 and PIU CUBE 16. Expect features such as a fan-only mode, dehumidifying mode, and a timer to automatically switch the unit on and off. Prices range from around $750 to $1,000 with cooling capacities between 3.52kW to 4.7kW. Omega Altise boasts clean, contemporary looks to blend into any living space. There are eight models to choose from, with cooling capacities of between 2.9kW and 5.2kW. Standard features include electronic controls with a remote control, 24-hour timer, dehumidifying mode and numerous speed settings. Prices start from around $350 for its smallest unit and can go up to just over $1,000. 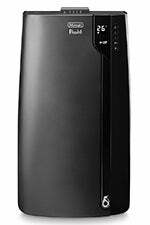 Honeywell produces sleek black portable air conditioners. For small rooms, it offers its 2.9kW unit, while for larger areas, you might like to consider its 4.1kW model. Expect a dehumidifying function along with a timer, remote control and window kit. It’s 2.9kW unit can be had for around $700, while other models can go up to as much as $900. Polo Cool Appliances is an Australian-owned company with a number of portable air conditioners on offer. Its KN10C unit retails for $599, with 2.9kW of cooling capacity, while the more powerful units are priced over $1,000. Expect features such as numerous speed settings, LCD displays and some come with an independent dehumidification mode. Better-known for its TVs, TCL also offers two self-evaporative air conditioners at the time of writing – 3kW and 3.5kW units. Both include a 24-hour timer, dehumidifying function, LED control panel, and a sleep mode. In addition, expect castors for portability, plus remote control for convenience. Prices are generally $700 to $800. What should I look for in a portable air conditioner? Australians who have bought a portable air conditioner in the last three years spent an average of $473, our research found, which is quite low considering portable air con models can cost more $1,000. It seems that many consumers are price-conscious when it comes to buying portable air conditioners – probably because they are usually seen as short-term cooling solutions. However, a short-sighted approach could prove to be misguided – after all, summer comes around the same time every year! Therefore spending a little extra on a quality appliance may prove beneficial in the long-run. Refrigeration cycle units use the same basic cooling system as most large air conditioners. The principal aim is to transfer the heat in a room to a refrigerant gas (which is usually just plain old air in household air conditioners), which is then circulated out of the building to a condenser where the heat is dumped. 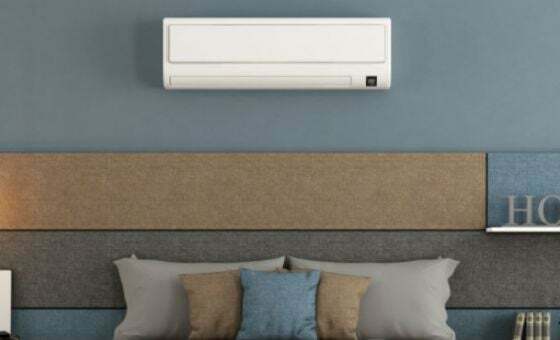 This type of air conditioner must be connected to the outside of the building in order to dump the heat and this is usually done using a flexible hose that allows the unit to move around. Evaporative cooling air conditioners pump air from outside through a screen that is partially saturated with water. This damp layer absorbs heat from the air. The cooled air is then pumped directly into the building or used indirectly to cool the condenser of a refrigeration system. The main advantage of an evaporative cooling unit is that it’s much cheaper to run than a refrigeration cycle unit. Furthermore, evaporative portable air conditioners don’t require any external connecting pipes to circulate air – this makes them truly portable, unlike refrigeration cycle models. However, the use of water as the cooling mechanism has two main disadvantages. Firstly, the humidity of the cooled air is increased as it passes through the filter, which can be uncomfortable and less useful in humid climates where the air is already moist. For this reason, evaporative cooling is likely best suited to hotter, dryer climates. Secondly, these coolers require a steady supply of water in order to operate. Portable air conditioners can be the perfect solution for anyone whose cooling needs are infrequent or temporary. This could mean just wanting to cool a single room at a time, or renters who only require a temporary way to keep cool in summer. Portable air conditioners are also much cheaper to buy upfront, meaning they’re ideal for households who may not be able to afford a full air conditioning system. 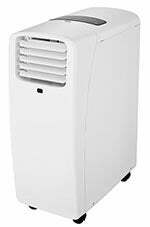 The unfortunate flip side of their modest size, however, is that portable air conditioners usually lack the power and features of larger, more expensive systems such as split system air conditioners. Additionally, portable units can be quite ineffective if they’re used to cool large spaces – bigger than a small bedroom or living room will be tough. They’re also not very energy efficient, which will probably cost you in higher electricity bills. Most models are priced between $400 and $1,000 which, despite being a significant investment, is much cheaper than the costs you’d incur by buying and installing a full-size air conditioning system. In our latest survey, 68% of respondents said that they are concerned about the amount of energy their portable air conditioner uses. 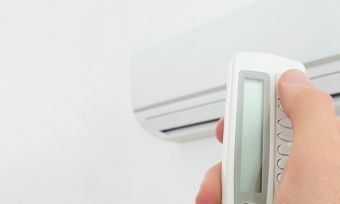 Part of the problem is that portable air conditioners are not covered under the Australian government’s energy-efficiency ratings system, making it difficult for consumers to gauge the efficiency of appliances. The survey found that there is interest in energy star ratings for portable air conditioners – 78% of respondents said that if given the opportunity, they would have purchased a unit with a high star rating. Air conditioning units are rated either by their power requirement in kW (kilowatts) or less commonly by the amount of heat energy they dissipate, measured in BTU (British Thermal Units). Most of the portable air conditioners we found online had an energy output of between 2.9kW and 5.3kW. 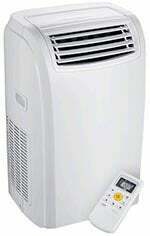 Take for example the Rinnai (RPC35WA) 3.5kW portable air conditioner. With an output of 3.5kW, and assuming electricity costs of 30c per kWh, this unit would cost $1.05 per hour to run. 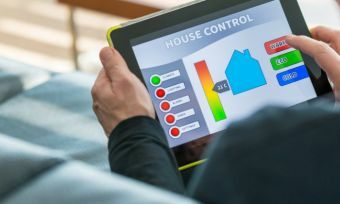 In the middle of summer, we imagine your air conditioner could be getting quite a workout, so it pays to be mindful of the dreaded electricity bill when turning on your portable air conditioner. Remember that running costs will naturally vary depending on your specific electricity rates. Wheels: It could hardly be considered a ‘portable’ air conditioner if it can’t be moved around easily. These units can be quite heavy, which is why many models sport wheels to ensure the task of moving the appliance is an easy one. 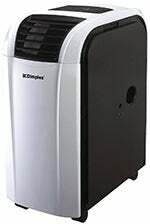 Dehumidifier: Many evaporative air conditioners have a dehumidifier function to reduce the humidity of the cool air. Dryer air feels more comfortable and provides greater cooling. Timer: Another useful feature is a timer control which allows you to set the unit to operate for a certain time or at a certain time of day, which can save you time and energy costs. 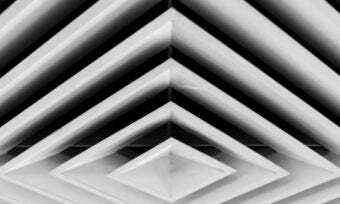 Noise control: All air conditioners have some inherent vibration and noise, but more expensive models can have extra damping and insulation to reduce this. Dual condenser: Some units sport multiple condensers, to more effectively dissipate heat. Potentially, this could mean greater cooling power, but could also mean a more expensive running cost. Window kits: You’ll need to run a hose or piping from your unit out the window to vent all the hot air from the room. A window kit will streamline this process, but keep in mind that you will have to remove and reinstall the window kit every time you move the unit. As you can see, there is a lot to consider with portable air conditioners if you’re keen to get the best value for money possible. Taking a cheap option is tempting, but it may also pay to shop around and spend a little extra on quality. Canstar Blue surveyed 3,000 Australian adults across a range of categories to measure and track customer satisfaction, via ISO 26362 accredited research panels managed by Qualtrics. The outcomes reported are the results from customers within the survey group who have purchased a portable air conditioner in the last 3 years (this includes an air conditioner than can be picked up and moved, not one that is permanently installed) – in this case, 529 people.